WASHINGTON, DC, January 30, 2013 (ENS) – The only rodenticide producer that has refused to adopt the U.S. EPA’s safety standards for all of its consumer products has lost federal authorization to sell its products in the United States. 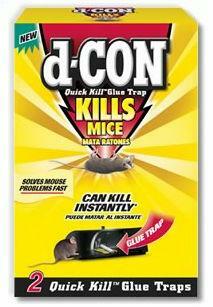 Reckitt Benckiser Inc., makers of D-Con brand mouse and rat poison products, will no longer be able to sell 12 of its products. Because roughly 10,000 children a year are accidentally exposed to mouse and rat baits, the EPA says that rodenticide products for consumer use must be contained in protective tamper-resistant bait stations. With today’s order the EPA targets consumer products used in homes such as loose baits, pastes or blocks without tamper-resistant packaging. In addition, the EPA forbids the sale to residential consumers of products containing brodifacoum, bromadiolone, difethialone, and difenacoum because of their toxicity to wildlife. Still, say wildlife protection groups, the order will not prevent thousands of wildlife deaths because it does not ban the worst poisons. Super-toxic poisons – called second-generation anticoagulant rodenticides – will still be available for widespread use if they are purchased in bulk at agricultural supply stores, used by professionally licensed applicators or are used outdoors in tamper-resistant packaging. The result will be the poisoning of thousands of animals a year, including threatened and endangered species like the San Joaquin kit fox and northern spotted owl, conservationists warn. 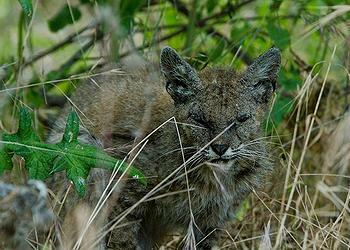 “Wildlife, too, need protection from these cruel, indiscriminate and deadly toxins. It’s time we get them out of the wild,” said Jonathan Evans, toxics and endangered species campaign director at the Center for Biological Diversity. “I’m very relieved the EPA has taken this significant step to protect our families from accidental poisonings, but other steps are needed,” he said. The EPA order comes after years of opposition from rat-poison manufacturers such as Reckitt Benckiser, who have continually fought the EPA to limit tamper-resistant packaging and keep second-generation anticoagulant rodenticides on the shelves. “We are thrilled that EPA is taking measures to protect children and pets and that more people are choosing to use safer methods and simple snap traps to control rats,” says Lisa Owens Viani of the grassroots group Raptors Are The Solution. Studies have documented second-generation anticoagulants in more than 70 percent of wildlife tested. Wildlife poisonings and deaths have been documented in eagles, hawks, falcons, owls, bobcats, mountain lions and endangered San Joaquin kit foxes. 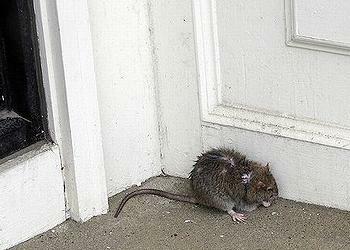 When rodents invade homes and rural areas, there are alternatives to rodenticides, the groups advise. Three effective measures are rodent-proofing of homes and farms by sealing cracks and crevices and eliminating food sources; providing owl boxes to encourage natural predation; and utilizing traps that don’t involve these highly toxic chemicals. Anticoagulant rodenticides interfere with blood clotting, resulting in uncontrollable bleeding that leads to death. Second-generation anticoagulants – including brodifacoum, bromadiolone, difethialone and difenacoum – are especially hazardous and persist for a long time in body tissues. These slow-acting poisons are often eaten for several days by rats and mice, causing the toxins to accumulate at many times the lethal dose in their tissues. Predators or scavengers like hawks, owls, foxes and mountain lions that feed on poisoned rodents are then also poisoned. Even in remote areas, research has revealed unacceptably high levels of poison in an endangered forest predator, the Pacific fisher: 75 percent of fishers tested showed rodenticide contamination. The EPA’s action to restrict some poisons was initiated more than 12 years ago when the agency first proposed adding bittering agents and dyes to deter children from eating rat poison. In the face of industry pressure, says the Center for Biological Diversity, the EPA withdrew that requirement in 2001. The agency again issued a risk-mitigation decision in 2008 urging companies to voluntarily remove the worst products from the market. The makers of d-CON challenged the obligation to comply with voluntary measures, and that led to the EPA’s current cancellation order.